We are doing everything we can to connect Sarajevo and Zagreb. Distance Sarajevo - Zagreb is 404 km, and it takes about 7 hours 45 minutes to cross the road. Given that this is a very popular line, two buses depart each day from one city to another. In spite of the rather limited traffic infrastructure in the territory of Bosnia and Herzegovina, consequently, the travel time is somewhat longer, but usually there are no unexpected interruptions. Furthermore, modernly equipped buses meet international standards, with air conditioning, extra luggage compartment, TVs, and WiFI (frequently). In Sarajevo, the bus station is located at the address of Put života 8. It is only a little less than a kilometer and a half from the city center, so you need about 15 minutes to reach the bus station from the center and vice versa. At AK Sarajevo you will find toilet, cash dispenser, luggage storage space, and cafe. If you're close to the station, you will find a fast food Dragon, and close to it is also a parking lot, as well as hotels and hostels. If you have previously booked accommodation closer to the center itself or at some other location in the city you should know that the tram station is 0.7 km away and the central train station 0.8 km. Journey Sarajevo - Zagreb takes a little longer than we would expect according to the mileage you have to cross. The reason for the odd way is that the roads in BiH are of a slightly inferior quality, which makes the ride a little slower. For about 400 km long journey you will need almost 8 hours. To be more precise, 7 hours and 45 minutes. Zagreb Bus Station is located at Avenija Marina Drzica 4. From Zagreb, the bus line runs to many Croatian cities and there are many international lines like those which lead you to Germany, Austria, Italy, Sweden, Slovenia, etc. The Zagreb railway station is just a minute away from the city center by car. Though due to the proximity there is no reason to go on a tram but if you decide that anyway you should know you'll only have three stations from there to get to the Main Station. The content of AK Zagreb is diverse and has everything you need before the journey. Kiosk, bakery, coffee shop, ATM, exchange office, toilets, post office and indoor waiting room. On the first floor, there are ticket sales counters and the one for information. Accommodation facilities such as hotels, hostels, and apartments are located near the station. Just a little note: If you have for some reason decided to buy a ticket at the counter, pay attention to the payment method before stopping. On some counters, card payments are only possible. The Sarajevo - Zagreb buses are modernly equipped and meet the international conditions for passenger bus transport. This actually means that they offer all the necessary amenities such as air conditioner that regulates bus temperature, light, and loudspeaker above passenger seats as well as space for eventual disposal of hand luggage. Further, the lower storage space for the boxes, TV receivers, and WiFi access to the Internet. Why you should travel from Sarajevo to Zagreb by bus? There is no doubt that in spite of the somewhat poorer roads in BiH, the bus is still the ideal means of transport on this line. The reason is simple - the same roads are waiting for you and if you go by car, but the transportation itself will cost you more. With all other means of transport is roughly the same - it will cost you more, not just money but also time. The train is a good example. On the way to Zagreb, the bus passes through the following places and cities: Vitez, Travnik, Jajce, Banja Luka, Bosanska Gradiska etc. Time on the road spend watching the surroundings, reading a book and/or listening to your favorite music. Entering Sarajevo will bring you a number of sights and really Sarajevo has a lot of them. From Bascarsija, Tunel, Vrelo Bosne, Pionirske doline, Sarajevo Museum, Latin Bridge, Town Hall... Depending on how much you stay in the city, make a plan to see all those sights you don't want to miss. While you are in the city, try as much food as you can and desserts that you won't be able to try at home. Try Bosnian coffee, halva, pies... The list has no end, and so the flavors you can try here. When you arrive in Zagreb, first place yourself in your accommodation and put your luggage down, then walk around and sit somewhere to drink a coffee or to taste some delicious bite. From the historical and cultural treasures of Zagreb, visit the Upper and Lower Town and the beautiful natural oases like Maksimir, Bundek, and Jarun. 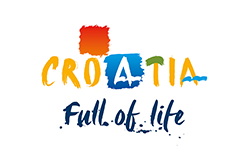 When you are tired of Zagreb sit on the bus and go visit one of the following cities: Pula, Split, and Dubrovnik. But stop for a moment. Before you travel, ie before you really buy your bus tickets, check the price of the ticket. Also, check the timetable, compare the carriers and then decide which one suits you the best. All of these you can do at our Vollo website.